Layoffs are a bummer, but Plants vs. Zombies creator George Fan isn't going to let them bring him down, even if a sequel might be happening without him. 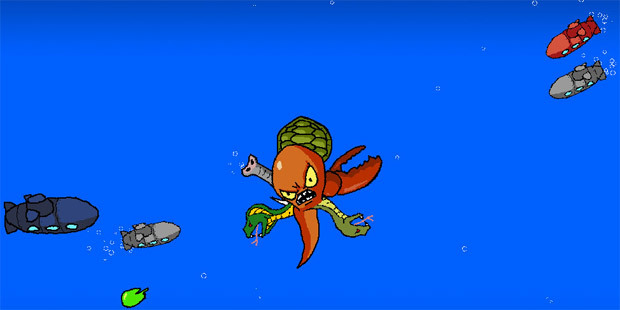 This past weekend, Fan entered the 48-hour-long game creating competition called Ludum Dare to bring us a Windows freeware game called Octogeddon. In this game you are octogeddon, a mutant octopus set on world destruction. You'll be able to mutate your eight legs into weapons to become a creature that makes kraken look like a minnow. Collected DNA points let you pump up the number of tentacles and their strength. This crazy game is playable right now!